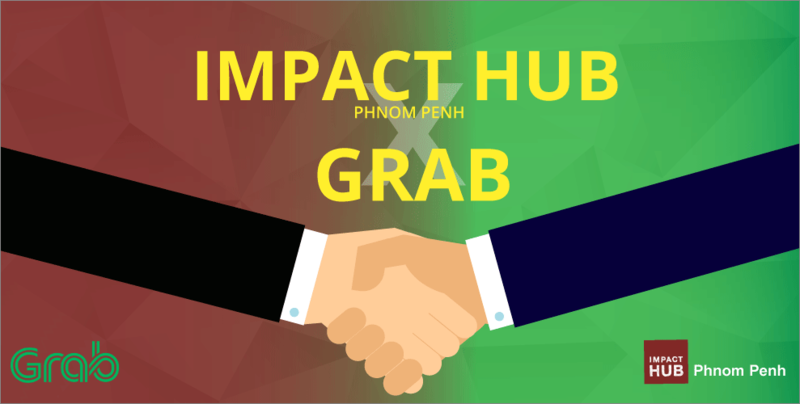 13th June, Wednesday – A MOU between Impact Hub Phnom Penh and Grab was signed in collaboration to support the ever-growing startup ecosystem in Cambodia. Leveraging upon the strong regional and international presence of both companies, the partnership will support, promote and grow social innovations and startups. Supported by Grab Ventures, the company’s innovation arm, the agreement hopes to discover the next generation of technology leaders. With the vision of both Impact Hub Phnom Penh and Grab aligned, programmes organised will include raising awareness, mentorship, and working together to enhance and support the growing entrepreneurship scene in Cambodia.